Christmas is one of the busiest times of the year, with plenty to do before you even celebrate. Your home will be filled with family, decorations or food, making it difficult to find any room to do anything. The first step you will need to take is decluttering your home. Find everything that you won’t need during the festive period. You don’t need to get rid of everything completely, just pack it up into some boxes and put them into a self storage room. The Christmas period is the perfect time to declutter your home. Hanging decorations from the ceiling and doorways will help make your rooms look less cluttered and will also allow you room on the wall, and plenty of space around the room. Sticking your Christmas cards on the walls will create more space around the room. It’s also the perfect solution to cards falling over every time you walk passed them. 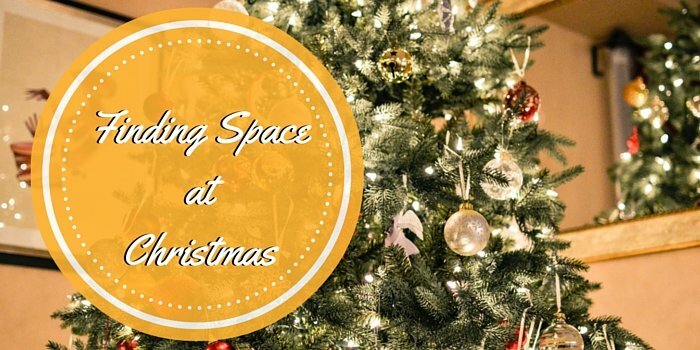 Your Christmas tree is one of the most important parts of Christmas, but it also one of the most space consuming items. There are multiple other options out there to save that precious bit of space. For a small home, with not many people living there, a small Christmas tree is the ideal solution. It won’t take up too much room but will still look great. If you wouldn’t feel right with a small Christmas tree, but don’t have the room for an ordinary large tree, you can buy trees that fit perfectly in the corner of your room. The other important part of Christmas is obviously the Christmas dinner. It’s probably the part of the day most people look forward to. The main problem with Christmas dinner is being able to prepare and serve everything at once. When preparing Christmas dinner, it might seem like you won’t be able to cook everything for the same time, but you can. Some of the vegetables can be prepared the night before to save you time. If you think you won’t be able to fit the turkey and vegetables in the oven at the same time, you can remove the turkey once it’s cooked and cover it in tin foil, then cook the vegetables. Fitting everything in the oven is one problem but being able to fit it all on the dinner table is another. An easy solution is to present most of the food on tiered food stands. This will allow you to fit either more food or table decorations on the table. Having a practise run of how you will have everything laid out when Christmas day is upon us, is the easiest way to make the day run smoothly.